I got this as a trade item. 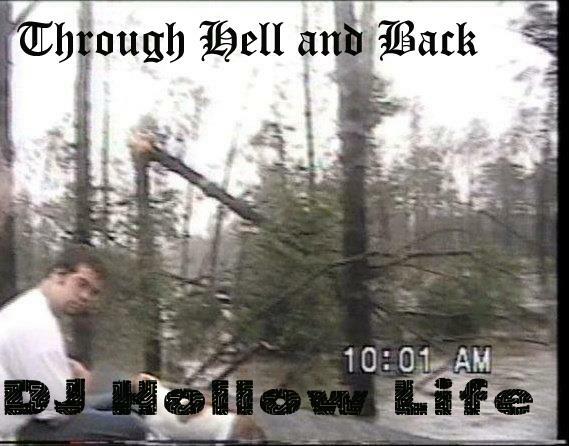 Never heard of DJ Hollow Life before so I did a little research. Turns out he`s from Clearwater, Florida, USA and he records something called chiptune, darkchip ambient and chiptrash. Whenever I see the term chiptune, I`m thinking 8 bit, NES, music. You know, something like Legend Of Zelda going techno, Super Mario Bros with breakbeats oe Metroid going into drum and bass territory. I wasn`t expecting much, and that`s where it happens. Bang! Ouch! Damn! This is a concept album. It`s about dealing and helping out people who survived hurricane Katrina (serves as a catharsis). There`s 10 tracks on this short album (total running time 37.01 minutes). If I could try defining and categorizing this recording, well. I would say that it`s industrial dark chiptune with noisy and percussive undertones, if that means something. I prefer to say that it`s an amazing album. There`s two standout tracks: `calm before the storm`(minimal, almost ambient electronics) and `subatomic salvation`( minimal electronics, some cool screams and is that a xylophone I hear on the background ?). Download this , I COMMAND!! !